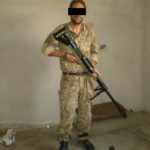 The Kurdish YPG (People’s Protection Units) employ a number of different craft-produced anti-materiel rifles (AMRs), and ARES has obtained a number of photographs and details of these rifles. 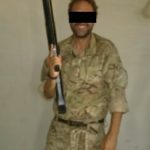 These photographs and contextual information came from a confidential source who served in a sniper tabor (platoon) of the YPG from June 2015 through August 2016. 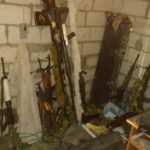 Such guns are also produced by a number of other factions operating in Syria and Iraq, as well as non-state and state actors in other conflict zones. Craft-produced small arms and light weapons, including anti-materiel rifles such as these, are covered extensively in a forthcoming report authored by ARES personnel for the Small Arms Survey. In combat use, these rifles are used primarily for defense against vehicle-borne improvised explosive devices (VBIEDs), serving a secondary role as counter-sniper weapons. VBIED armour has been generally increased to the point that standard rifle calibres used by designated marksmen (typically 7.62 x 54R mm and 7.62 x 51 mm) are not able to reliably stop them. 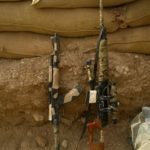 Instead, the YPG turned to heavier weapons. 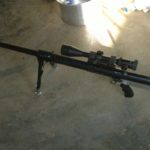 Whenever available, modern anti-materiel rifles such as the Chinese M99, Zastava M93, and Barrett M82 are in high demand, as are direct-fire recoilless weapons and rocket launchers, and anti-tank guided weapons (ATGWs). 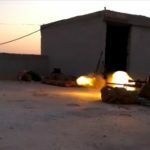 To supplement these scarce and more broadly-useful weapons, the YPG has developed several of its own indigenous AMR designs built around barrels taken from heavy machine guns and light cannon. Photo 1: Foreground, 14.5 mm Şer Portative; background 12.7 mm Zagros. Picture taken July 7, 2016, Battle of Manbij. The two main rifles in service are the Zagros, chambered for 12.7 x 108 mm, and the Şer (and shorter Şer Portative), chambered for 14.5 x 114 mm. Conceptually similar guns have been built in 23 x 152B mm, but the YPG determined that these were too massive and bulky to be practical. The Islamic State continued to employ a handful of guns in this calibre, however. All of these rifles are made by fabricating simple tubular receivers and bolts to match up to barrels from DShKM, W-85, and KPV pattern guns. In at least one case, the barrel of a Kord heavy machine gun was used. The barrels may be salvaged from damaged or inoperable guns, or may be spare barrels accompanying functional guns, depending on circumstances. The resulting rifles are single shot only. According to ARES’ source, the Şer Portative was a shortened version of the 14.5 mm Şer introduced in the early summer of 2016 in an effort to make the latter more portable. It reportedly succeeded in this, although at the price of very intense felt recoil and muzzle blast. In addition, they are reported to have destroyed optical sights in as few as 5 rounds. The Zagros was reportedly reserved for use at longer ranges, as it was more comfortable for the user, and more accurate to use because it could be more precisely zeroed with a telescopic sight. The full-length Şer has apparently been largely removed from combat, as it is too bulky for offensive use and its role has been largely replaced by supporting air strikes from CJTF-OIR forces. Photo 2: Weaponry of a 3-man YPG sniper unit. 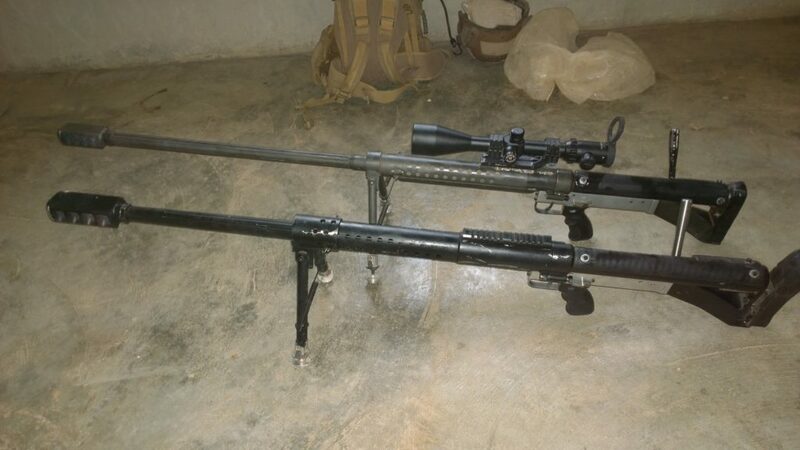 Foreground is a 12.7 mm Zagros, with two 14.5 mm Şer Portatives behind, as well as two 7.62 x 51mm Sako TRG-22 rifles. Kalashnikov type rifles leaning against the wall are the men’s individual weapons. July 7, 2016, Battle of Manbij. It is important to note that all of these rifles are almost exclusively used with ammunition made for machine guns, rather than precision ammunition. This will limit the potential accuracy of the weapons, however this is unlikely to reduce their effectiveness in the anti-vehicle and anti-materiel role the YPG uses them for. The availability of AP, API, and other specialty ammunition types is likely to compensate for limited precision accuracy. ARES’ correspondent with a Şer Portative. Photo taken July 7, 2016, Battle of Manbij. 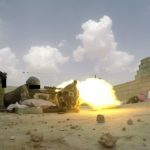 Zagros firing, Battle of Manbij July 2016. Şer Portative firing, Battle of Manbij July 2016. 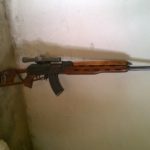 Experimental YPG 7.62x39mm AK derivative rifle developed by YPG arms plant in Rmelan. Photo taken July 7, 2016, Battle of Manbij. Personal weapons of ARES source; AK and SVD. The SVD magazine is loaded with API ammunition. This was reportedly of limited use against VBIEDs, but still more effective than standard ball. Very early production Şer Portative. Picture taken July 6, 2016, Battle of Manbij. 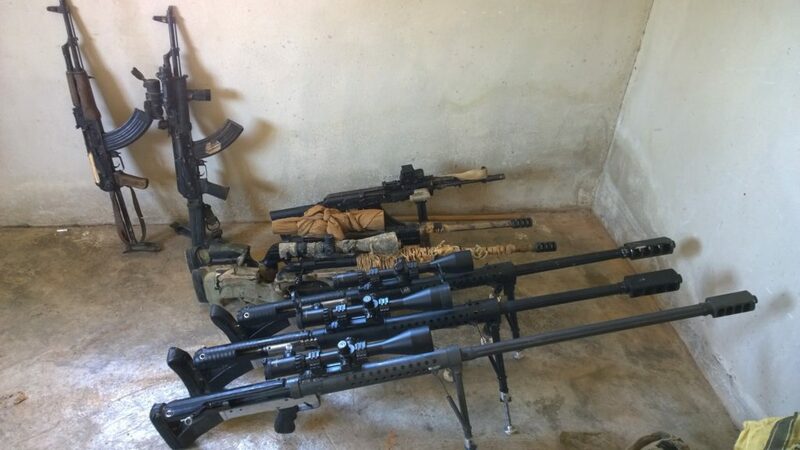 Several weapons belonging ARES’ source’s ‘Sniper Tabor’ (platoon). Picture taken September 9, 2015 at a base outside Sari Kani. The uniquely camouflaged rifle in the centre is an unsuccessful experimental Şer with collapsing stock and box magazine. Photographs and contextual information courtesy of ‘Ed Nash’. Special thanks to ImproGuns, Jonathan Ferguson, and several confidential sources. 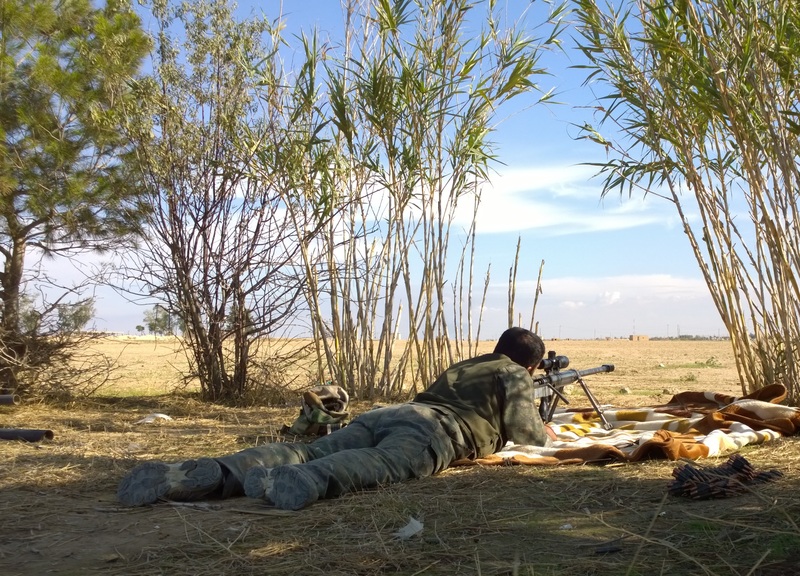 Header image shows YPG sniper employing a Zagros AMR against Islamic State forces at the Battle of Al Hawl, November 11 2015. 3rd image; looks like the weapons of someones marksman platoon.